John Boorman, born in Shepperton in 1933, fell in love with cinema at an early age. He became a critic on the radio before working as an editor for the BBC. In 1965, his first film, Catch Us if You Can was noticed by Hollywood and he went there to make Point Blank (1967), then Hell in the Pacific (1968), two international box office hits. He returned to London to shoot Leo the Last (Best Director’s prize at Cannes in 1970). He then directed Deliverance, Zardoz, and Exorcist II, making a highly personal work of it. His cult film, Excalibur, won an award at Cannes in 1981. He went on to make The Emerald Forest, then Hope and Glory, to critical acclaim. 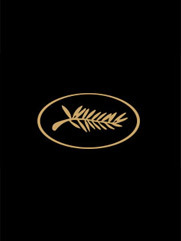 Following Where the Heart Is, he presents the very same year at Cannes, in 1995, Beyond Rangoon in Competition and the short film Two Nudes Bathing in Un Certain Regard. With The General, John Boorman came back in Competition in 1998 to win Best Director prize again. The Tailor of Panama, adapted from a John le Carré novel, was released in 2001, followed by In my Country (2004), then The Tiger’s Tail (2006). John Boorman has been nominated for an Academy Award five times. He is a Member of the British Academy and the author of two memoirs: Money into Light and Adventures of a Suburban Boy. He co-edited, alongside Walter Donohue, 13 issues of Projections, about the filmmaker’s craft.